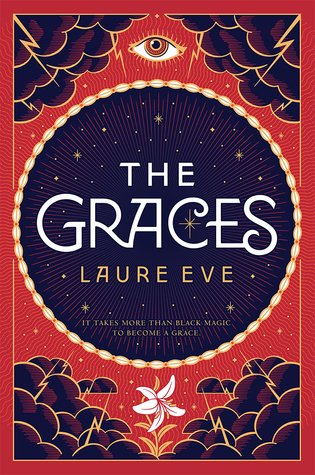 The Graces is one of those books that is trying really, really hard to be the next Twilight. Small town. Weird, strangely beautiful family that everyone gossips about and loves at the same time. Ridiculously, fake, and supposed to be good smelling love interest. NO HUMAN RELATIONSHIPS. I mean, who are we fooling here? Certainly not me. Certainly not any one who has ever read or watched the Twilight films. You might was well have renamed the book Twilight: but with witches that smell like vanilla rather than sparkle. And yes, this review is ridiculously short. That is because I cannot bring myself to say anything without completely flipping a biscuit. I’m mid-way through and struggling. That was my thought exactly – TWILIGHT! I hated the series and the characters. The Graces is such a disappointment. I’m totally debating whether or not to just give up. Witches that smell like vanilla? A small town where people are in love with some sisters who seem to be superhuman? Didn’t they already write this, and call it Sweet Valley High? Probably. I’ve never heard of Sweet Valley High, so that’s why that sort of flew over my head. If so, that gives me even more reason to dislike this book.